The Charles Owen Pro II is the most breathable cross country skull cap available in a wide range of colours. The low profile Charles Owen Pro II does double duty, keeping your head safe and cool. When combined with its Charles Owen helmet cover, ventilation slots located at the front and back of this helmet allow air to flow, while interwoven silver ions provide anti-microbial protection against sweat and odours. The GRpx® technology harness creates an unparalleled fit. 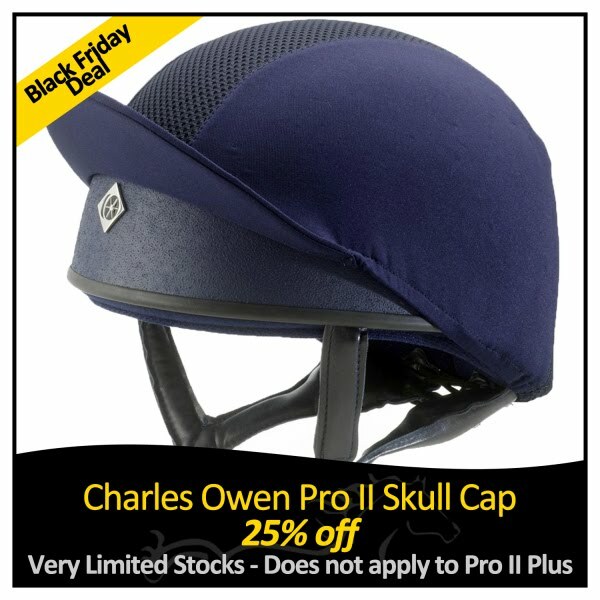 Offer applies to the ORIGINAL Charles Owen Pro II Skull and NOT the new Charles Owen Pro II PLUS with removable liner.